Eph. 2:8-10 "For by grace are ye saved through faith; and that not of yourselves: it is the gift of God: Not of works, lest any man should boast. For we are his workmanship, created in Christ Jesus unto good works, which God hath before ordained that we should walk in them." At one time my husband and I were "in" a false cult, and it was over a year before we realized how false it actually was. Since coming out of the cult we have been asked by numerous people how we became involved and how we determined it was false. Therefore, we have compiled this to have on hand for distribution to those interested in knowing what we learned about this group. On one occasion while in this outfit, we were handed "An Open Letter" which was written by a Wichita, Kansas man who had left this cult and was warning others of its dangers. When we showed this to some of the "workers" we were given a variety of answers ranging from, "He was never one of us" to, "The man left and since has lost his mind!" Therefore, we anticipate that this writing, too, will fall into the hands of many who will undoubtedly say the same about us in order to keep the truth from others. Our first contact with this cult was through a neighbor of ours who drove approximately 200 miles round trip weekly to attend meetings held on Sunday mornings in the home of one of the group's "elders." At this time my husband and I were neglecting God's Word, not attending church, and thus became easy prey for the devil to gain control of our lives. We felt that anyone travelling so far each week must truly have found something more than many of our churches offer today. We began to question him and, although he claimed to read his Bible hours daily, he seldom had any answers to our questions. He would suggest that we talk with some of the group's "workers" who would answer our questions. We felt this was because he was timid about responding. However, it was not until many weeks after our being in the group that we were told by the "workers" that only "workers" can lead another person to the "way." As proof for this practice they quote Rom. 10:13-15 - "For whosover shall call upon the name of the Lord shall be saved. How then shall they call on him in whom they have not believed? and how shall they believe in him of whom they have not heard? and how shall they hear without a preacher? And how shall they preach, except they be sent? as it is written, How beautiful are the feet of them that preach the gospel of peace, and bring glad tidings of good things!" According to them, the "beautiful feet" are those of their "workers" who must be sent to preach in order for anyone to hear (vs.14) and believe or call upon the name of the Lord (vs.13). They say you MUST BE ABLE TO SEE THE FEET OF THE "WORKERS" to believe. The same message could be told by any of their members (called "saints"), yet an individual could not actually become one of the group until he had heard it from a "regular worker" - definitely not by printed form, but by hearing directly from a "worker." At the time we entered the cult, there were about twenty to twenty-five "workers" in our state. By all calculations you can see that if the message were to go forth by direct contact through this limited number, only a very small percentage of the state's population COULD EVER HEAR, let alone WOULD HEAR. When, after we were in the group, we questioned how it would be possible for everyone to be reached with the gospel at least once, we were told that if a person were truly seeking, God would have him come in contact with one of their "workers." The seekers who heed the message are the "worthy ones." "Workers" cannot write a tract and have it distributed as this would not be a means of permitting people to see their "beautiful feet." They claim that, because they bring the "gospel of peace," their feet become more beautiful to those "worthy ones" who join ranks with them. The cult claims absolutely NO NAME and will flatly deny they are a denomination. However, others have tagged to them the name COONEYITES, also known as GO PREACHERS, TWO-BY-TWO, and on occasion they are referred to as BLACK STOCKING. This latter name came from the fact that they used to wear black stockings, and some of the older workers still do. 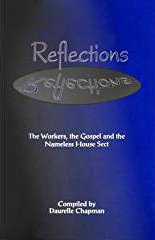 For valuable information concerning this group we would refer you to the book, Heresies Exposed, which can be ordered from Sword Of The Lord, Box 1099, Murfreesboro, Tennessee, for $1.25 plus 15 cents postage. The group will flatly deny being the same one as exposed in this book, and while we were in the cult we were told to deny all connections also. Each "saint" has his own Bible and song book. When we joined, we were given a Bible and were told to stop using our Scofield Bibles. The text was the same but the marginal helps were different. We were also given a hymn book. Both the Bible and hymn book came from Scotland. 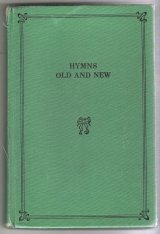 The hymn book is entitled Hymns Old and New. As proof of the type of deception being done by the group, I'd like to relate an experience we had relative to the hymn book. When we attended "gospel meetings" we were handed small paper-back hymn books. After entering the cult we were given the regular book, the first part of which contains the same songs as the small paper-back books used in the "gospel meetings." These first songs are much more standard. They are sung in most churches and the majority of them have a real gospel message. However, at conventions, spring meetings, and regular Sunday and Wednesday services in the homes, the songs sung are not the ones used in the "gospel meetings." One time after I had entered the clan, I took my regular song book to a gospel service. A "worker" told me on the side not to do this again but to use the ones provided at the meetings. It was then I realized that the selections used in the services where "unbelievers" were in attendance were songs of redemption by Jesus' blood, while those sung with just the group present emphasized "works" rather than God's grace for salvation. One thing I could never figure out was ehy they used songs written by composers they feel are not believers. I once asked a "worker" why so many selections had no composer listed, and she said these were written by "workers" who wished their identity not be known. Yet, in reality, we found that some have been copied. 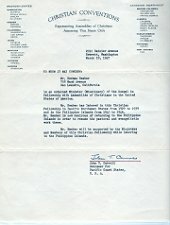 To not attach their own names to them is not illegal, but to say "workers" composed them when they did not is deception. Some examples are: On page 172 is a song with the tune of "Long, Long Ago." The words on page 293 are from a poem that fundamentalists use; it has been used on "Back to the Bible" broadcast as well as in a track published by Life Messengers entitled "The Lonely Cabin on the Forty Mile." 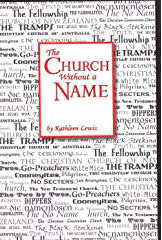 "I Was a Wandering Sheep" on page 31 is used in a Moody Press publication entitled "Is Mormanism Christian?" As I have determined it, the organization works as follows: Each state has a "Head Worker" or "Overseer." He appoints the other "workers" as he sees fit, grouping them in pairs; hence the name TWO-BY-TWO. Two women, two men. They are to go from community to community holding "gospel services" as they feel led. Usually these are held near the home of a follower who wants to have the gospel brought to someone he knows who has shown interest. As long as ONE person is interested they continue meetings. These meetings are held wherever they find a welcome - whether in a home, rented building, school house, or tent. The "workers" use no notes, receve no salary, etc. They refer to Luke 9:1-5 which says, "Then he called his twelve disciples together and gave them power and authority over all devils, and to cure diseases. And he sent them to preach the kingdom of God, and to heal the sick. And he said unto them, Take nothing for your journey, neither staves, nor script, neither bread, neither money; neither have two coats apiece. And whatsoever house ye enter into, there abide, and thence depart. And whosoever will not receive you, when ye go out of that city, shake off the very dust from your feet for a testimony against them." Also Matthew 10:1 which says, "And when he had called unto him his twelve disciples, he gave them power against unclean spirits, to cast them out, and to heal all manner of sickness and all manner of disease." They fail to realize this was the way Christ sent out his early disciples and that as Luke 9:1 shows, the early disciples also had power over devils and could cure diseases. The "workers" do not do this! Quite the contrary! One worker who on several occasions cam to our home to stay, had one suitcase for her own medicines and drugs. Matthew 10:10 "Nor script for your journey, neither two coats, neither shoes, nor yet staves: for the workman is worthy of his meat." Luke 9:3 "And he said unto them, Take nothing for your journey, neither staves, nor script, neither bread, neither money;, neither have two coats apiece." They take this to mean that they are not to use notes (script). Note, however, the use of this word in I Samuel 17:40 - "And he took his staff in his hand, and chose five smooth stones out of the brook, and put them in a shepherd's bag which he had, even in a script; and his sling was in this hand: and he drew near to the Philistine." The word script here refers to David's bag for his stones. Also the Greek word means "staff nor wallet." Some of them came to our house, bag and baggage, and made our home their home whenever it pleased them to do so. They claim no home of their own, so with no income I suppose there is no income tax to pay. Yet neither could we count them as income tax deductions even though we fed them, helped pay for their clothing, medicine and travel expense. They claim they are to eat whatsoever is set before them, when in reality, they let it be known, some of them, the type of restricted diets they are on. I have on occasions had a "worker" on a special diet drop in unexpectedly who was not able to eat what we had prepared for our family. So I would prepare special food for the "worker" even though we could not financially afford this better food at the time. As believers, each as he felt led would give money to the "workers" in cash. We were told that if any "worker" had more money than he needed, he would send it to the state "Head Worker," who in turn would give it to "workers" needing money, or he would buy Bibles and songbooks for new followers, use it for convention expenses, and so forth. The "Head Worker" has the say of whether or not a follower becomes a "worker." If a follower feels called to preach and the "Head Worker" vetoes it, he cannot preach. They claim their workers are not to marry; yet, after we were in the group, we heard of some who were married, and even of a divorced "worker." The "workers" claim to be dedicated to the "gospel" above everything else, but while we were in the clan, one man who was next in line for the position of "Head Worker" ran off and got married to a girl young enough to be his daughter. Interestingly enough, this one incident helped open our eyes to the falseness of their claims, not because he married (Heb. 13:4 - Marriage is honorable in all..."), but because we could see the change of attitude on the part of the whole bunch. Almost everyone adored this man. He was a household word among us and his word was taken as authority on many issues. On numerous occasions someone would tell us that this man said to do such and such, or not to do such and such, and simply because he said it we were to cooperate. Then when he married, the same folks who had praised him before turned on him bitterly. Later, within a few weeks, we experienced the same change of attitude toward us when we left them. Many folks who claimed to be friends the "sticketh closer than a brother" turned on us with angry, bitter words. We were told over and over that, because we left our punishment would be much greater in hell than most, for we had heard the "truth" and had rejected it. When we entered the group, it was simply by raising our hands in a "gospel meeting," signifying we wished to follow the "Jesus way." Several months later, we were told we would need to be rebaptised in a creek. 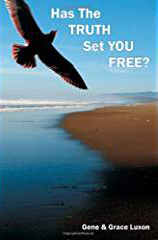 We were encouraged ever so slyly to drop all former ties with other beliefs. Since my Daddy is a fundamental evangelist, I seemed to be a prize catch for them and received unlimited advice on how to sever former ties, including those with my own family. Now we realise the gradual process which this cult uses to completely ensnare people - controlling their entire life, thoughts, and habits. We were told how to dress - nylon hose with seams for me (now many wear seamless hose), dresses below the knees, preferably mid-calf, long hair pulled into some type of a bun, no make-up, no jewelry other than my wedding band and many disapproved of this. We were to dispose of all radio and television sets. Those buying used cars with radios were encouraged to remove the aerial. Christmas and Easter were taboo. All services of the group were to be attended except for extreme sickness. Participation in the services was taken for granted as part of being a believer. At the regular Sunday morning services, songs are sung without music. (In their "gospel services," which are attended by people outside the group, they have music - just another deception). All give a testimony on something they have read from the Bible that week, and everyone kneels and prays aloud. Every Sunday at the close of the service, they "break bread" together. The "Bishop" passes one piece of bread to a member, he breaks off a piece and passes it on to the next person; then one cup is passed and each one takes a sip. After the service is over, the "Bishop" burns any left-over bread and pours out on clean ground any remaining wine, as it is considered "holy". The COONEYITES trace their origin from the previously mentioned scripture references where Jesus sent out the twelve, then later the seventy also. These they say are the original ones of their convocation. They believe that Jesus could have sinned, but that He didn't, and that He started a work which they are now carrying on. They quote Acts 1:1 as proof - "of all that Jesus began both do and teach." They disregard Jesus' words in John 19"30 - "IT IS FINISHED," referring to the finished work of Christ on Calvary for our redemption. They claim that we are saved by Jesus' life but not by His shed blood. They say He lived to show us how to live, and if we live as He lived, we are following the "Jesus way"; thus we are a believer. They shy away from any reference to the blood and terms such as "being saved" or "born again." The Bible says, however, in Titus 3:5-7 "Not by works of righteousness which we have done, but according to his mercy he saved us, by the washing of regeneration, and renewing of the Holy Ghost; Which he shed on us abundantly through Jesus Christ our Saviour; That being justified by his grace, we should be made heirs according to the hope of eternal life." The COONEYITES prey upon the dissatisfied, the folks needing assistance due to numerous problems, the lonely, and even the feebleminded. They seldom approach anyone who is certain of his salvation in Christ. They prefer small communities for their "gospel services" rather than large cities, even though the masses of people are in the cities. They claim "Romans 8:28 ("And we know that all things work together for good to them that love God, to them who are called according to his purpose") to mean that God has a purpose in areas of your life IF they pertain to eternal things. I once had a "worker" answer one of my questions by stating laughingly, "You don't think God has anything to do with the little things like catching the flu bug, do you?" But the Bible says that "...all things work together for good..." and that not a sparrow falls to the ground but that our Heavenly Father knows it. He even knows how many hairs are on our heads. Miss Weir, who headquarters in Kansas and I believe was related to one of the "Cooneyites" (possibly even his sister), once told me this scripture applied only to "workers." Psalm 139:4 says. "For there is not a work in my tongue, but lo, O Lord, thou knowest it altogether." In addition to the reasons previously mentioned, there were numerous incidents that took place which helped to influence our coming out of the cult. Once a "Bishop's" wife and I were downtown and she pointed out to me a woman dressed in a long-sleeved dress; her hair was tied back in a bun and she was wearing no make-up. "You can tell she is not a believer because she is not wearing hose!" she said. Immediately the scripture in I Sam 16:7 came to my mind, "...man looketh on the outward appearance, but the LORD looketh on the heart." On several occasions when women "workers" were in our home, they put on a "spontaneous skit," mocking those whom they called "unbelievers." During these times I always thought that if these "workers" were really following the "Jesus way" they would have compassion for those they considered "unbelievers" rather than ridicule them. The group feels very "clannish" toward one another, so much so that at times it borders on the ridiculous. One lady told me that before she married her husband she had no romantic love for him; but because he was her "brother in Christ" and wanted her to marry him so badly, she did so, praying until the marriage actually took place that someone would come and rescue her from the situation. No one did, so she married him as her sisterly duty rather than as love for a mate. The members of the group readily tell anyone who asks who their "fathers" or "mothers" in the faith are, meaning the team of "workers" under whose ministry they heard the truth and turned to the "Jesus way." This is something which is discussed very openly and which all are encourage to tell. Therefore, when I read the article on COONEYITES in the book Heresies Exposed, I figured if the Mr. Weir referred to in the book was not a founder of this cult, but was a real "worker" proclaiming the "true way." I would trace back and find out who his "father" and "mother" of the faith were - perhaps even his "grandparents." This I did, writing Mr. Weir's "sister" and asking her who her brother's "mother" or "father" in the faith was, and she replied, "I am not answering your questions as you have not been 'in the way' long enough for me to discuss this with you." I knew then that the Mr. Weir referred to in the COONEYITES article was the founder and the cult dated to his time and was not the "true way" dating to Christ's time. Had Mr. Weir had a "mother" or "father" in the faith, Miss Weir would readily have told us. This proved to us more than anything else that we were in a false cult - man made. By now we were convinced by their own tricky ways that they are misled, to put it mildly. Actually, I wonder if they do not use their misinterpretation of the Bible to twist and warp the thinking of honest seekers, and do it deliberately. This clan can become an obsession because of their evasive ways in leading people astray. It should be avoided, at any cost. The COONEYITES say "churches" must meet in homes and they use as scripture Philemon the second verse where it speaks of "church in they house." Yet they do not believe other instructions for those times. We cannot help but wonder why they follow some, and not all, customs of the time. They also do not believe in Bible School, Sunday School, or having pictures of Jesus in the home. Consider the following scriptures in the light of what the COONEYITES believe - that works must go along with grace and that one can be lost over and over again. Eph. 1:17 "In whom we have redemption through his blood, the forgiveness of sins, according to the riches of his grace." 1:13,14 "In whom ye also trusted, after that ye heard the word of truth, the gospel of your salvation: in whom also after that ye believed, ye were sealed with the holy Spirit of promise. Which is the earnest of our inheritance until the redemption of the purchased possession, unto the praise of his glory. These verses very clearly tell us that we are not saved by grace, not by works; but verse 10 says we are saved "unto good works." Works follow salvation, just as a new born baby cannot walk until first he is born. Eph. 2:14 "For he is our peace, who hath made both one and hath broken down the middle wall of partition between us." This verse tells us we have access to God without a "worker" as mediator. I Tim. 2:5 also says, "For there is one God and one mediator between God and men, the man Christ Jesus." Eph. 4:11 - "And he gave some apostles and some evangelists and some pastors and teachers." Apostles were given to some in Bible times, but now we have evangelists, teachers (of the gospel) and pastors. Phil. 3:3 - "For we are the circumcision which worship God in the spirit and rejoice in Christ Jesus and have no confidence in the flesh." This verse says to have no confidence in the flesh; yet these people keep speaking of their works, their keeping faithful, etc. In conclusion. II Tim. 3:5 says "Having a form of godliness, but denying the power thereof, FROM SUCH TURN AWAY." The power is in the "blood" of Christ; yet, out of all the months spent in this cult, only once did I hear the blood mentioned in a sermon. The man who mentioned it is no longer a "worker." II Pet. 2:2 says, "And many shall follow their pernicious ways; by reason of whom the way of truth shall be evil spoken of." The Bible tells us there is only ONE WAY to spend eternity in heaven. That way is God's way - set forth in the Bible. John 1:29 "...Behold the Lamp of God which taketh away the sin of world." (We have to acknowledge ourselves as sinners first). John 3:3,7 "Jesus answered and said unto him, Verily, verily, I say unto thee, Except a man be BORN AGAIN, he cannot see the kingdom of God." John 5:24 "Verily, verily, I say unto you, He that heareth my word, and believeth on him that sent me, hath everlasting life, and shall not come into condemnation; but is passed from death unto life." (He that hears the Word of God and believes and receives the Lord as his PERSONAL SAVIOR "hath EVERLASTING LIFE, and shall not come into condemnation"). Works are essential in their proper relationship AFTER salvation. Phil. 2:12 says, "...work out your salvation with fear and trembling." The people who try to work their way to heaven are only working their way to HELL, eternal damnation, and separation from God. If you have become ensnared by this devilish doctrine taught by these people who claim to be followers of the Lord, won't you come to your senses before it is too late? Jesus Christ is the WAY to heaven, not just the "way-shower." In John 14:6, Jesus says, "I am the Way, the Truth, and the Life: no man cometh unto the Father, but by Me." God bless you as you trust Him and Him alone.